Back at E3 2012 (yes, it’s been that long already), before we even knew that Disney would be purchasing Lucasfilm from George Lucas and new Star Wars movies were officially on the way, a new game was shown off that excited both fans of the movies and fans of video games alike. 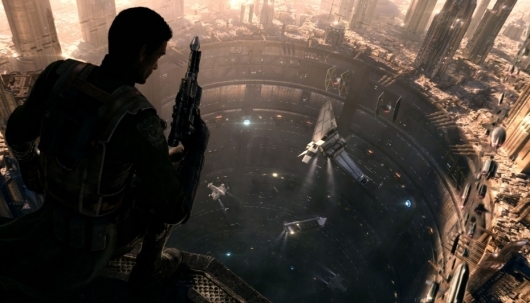 The game was titled Star Wars 1313, and it looked like a whole lot of fun. Watching the gameplay now isn’t nearly as impressive as it was three years ago before the current-gen consoles arrived, but you can still see the promise it showed for those who can still enjoy a cover-based third-person shooter. Additionally we’ve been hearing about a possible live-action Star Wars TV series for for many years now, and Lucas is said to have written at least 100 episodes already. The show was described as “Deadwood meets The Sopranos in space,” and there was even reports that it had begun casting and that it would be titled Star Wars: Underworld. Sadly it looked like these two projects had died, but now the slightest sign of life has appeared for them both.